Peanuts are believed to be indigenous to Central America. Moreover, it is popularly grown in India, China, Indonesia, Argentina, Nigeria, Myanmar, etc. The plant belongs to the Fabaceae family. Peanut has anti-inflammatory, anti-viral, and anti-aging properties. It is considered particularly good for those who are underweight. In fact, having more than a tablespoon of this nut five times in a week can cause weight gain. However, if you already have a healthy weight and do not want to gain weight any further, you need not abstain from these amazing nuts altogether as a study published in the International Journal of Obesity revealed that individuals who consume nuts at least two times in a day are less susceptible to weight gain than those who do not consume nuts at all. Thus, having peanuts in moderation decreases obesity and lowers triglycerides. Moreover, it has monounsaturated fats that help lower blood cholesterol levels. Plus, roasting peanuts increases p-coumaric acid levels and enhances their antioxidant content. Peanuts have a flavonoid called resveratrol (also found in red grapes and red wine) that improves blood flow in the brain. In addition, they reduce the chances of having a stroke. Furthermore, peanuts promote the growth of male and female hormones. As they are rich in niacin, regular consumption of peanuts or groundnuts protects against Alzheimer’s disease. Plus, it works as a tonic for the nervous system and also improves bone health. Coming to the nutritional benefits of peanut, it contains vitamin B complex, vitamin E, zinc, iron, calcium, potassium, phosphorus, copper, magnesium, folic acid, choline, selenium, fiber, etc. It is rich in antioxidants that protect against cardiovascular disease and cancer. Studies have also shown that having an ounce of peanuts on a regular basis reduces the chances of developing gallstones. Furthermore, they contain high amounts of proteins. Thus, you can eat a handful of peanuts (preferably unsalted) regularly or include them in salads and other recipes. Besides, you can have a tablespoon peanut butter about four times in a week. While consuming these amazing nuts, though, remember that they are high in calories. • Taking a combination of two to three tablespoons each of peanut butter and blackstrap molasses in the morning is one of the most popular peanut remedies for constipation. 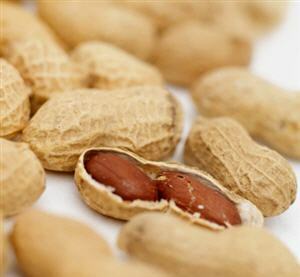 • Regularly consuming a handful of peanuts, preferably without removing their red skin can prevent heart disease. • Intake of two tablespoons of peanut butter on a regular basis is a simple and easy home remedy for osteoporosis. • Peanut benefits in uplifting the mood and relieving stress. Thus, you can have a sandwich prepared by spreading peanut butter and strawberry jam or purple grape jelly on whole wheat bread. • Applying a mixture of peanut butter and crushed cloves works as a great natural cure for toothache. • Consuming a mixture of peanut butter and a small amount of sugar improves memory. • Having a tablespoon of peanut butter a few times can help stop hiccups. 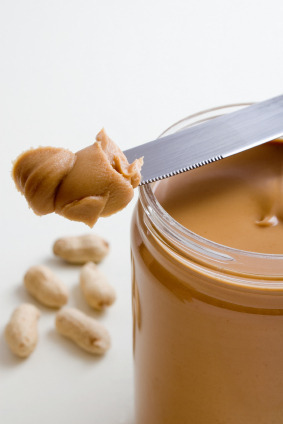 However, avoid consuming peanut butter when having canker sores. • Taking a tablespoon of peanut oil daily in the morning for about 15 days serves as a natural treatment for tapeworms. • Massaging a combination of two tablespoons of peanut butter and a teaspoon of Crisco on the affected area and washing it off after 15 minutes heals stretch marks. Follow this therapy three times in a day for a few weeks. • Peanut butter also helps in getting rid of dry skin. For this, you can rub peanut butter on skin and leave it for about 15-20 minutes. Finally, wipe it off and rinse with lukewarm water. • You can nourish your skin by applying a mixture of two teaspoons of unrefined peanut oil and five drops of rose hip seed oil to cure wrinkles. • Combine equal parts of peanut oil and camphorated oil and massage the solution on skin to get rid of scar tissue. • Simply massaging peanut oil is helpful in relieving issues like fatigue, low vitality, and poor circulation. Peanut milk, prepared from ground peanuts and water works as a great dairy-free beverage. It is particularly beneficial for those who are lactose intolerant. Peanuts can cause allergic reactions giving rise to symptoms like eczema, itching, hives, tingling in the mouth, swelling on lips, tongue, dizziness, wheezing, etc. Excessive consumption of these nuts (actually beans) can lead to indigestion. Plus, though peanut benefits in preventing and curing diseases still, individuals dealing with from kidney or gallbladder disorders should avoid having it as it contains oxalates. 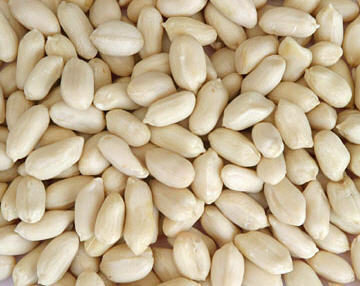 Moreover, raw peanuts tend to interfere with the functioning of the thyroid gland as they contain goitrogens. However, it is believed that cooking tends to inactivate these compounds.